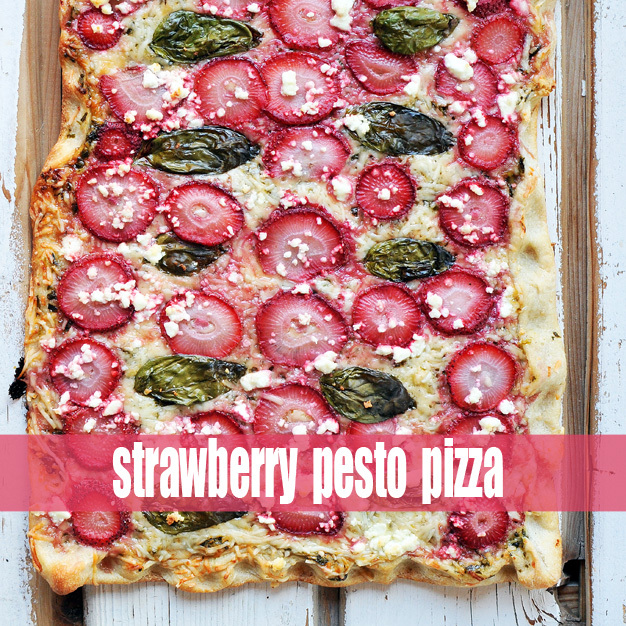 Nothing quite embodies summertime like this pizza -- fresh organic strawberries and basil from our garden. Summer is the time for grilling, backyard parties, hours spent outside, picnics by the lake, popsicles, farmers' markets, backyard vegetable gardens, later bedtimes, and warm temps. But more than that, it is a GREAT time to dive right in to healthy eating with so many fresh fruits and vegetables available. Find your motivation, start some good healthy habits now, redefine your "normal", and enjoy life more fully. Sounds easy enough, right? They never said it'd be easy, but it sure is worth it!! 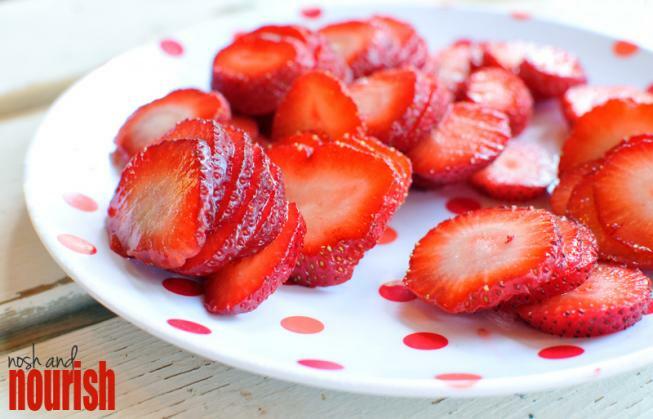 Just look at these beautiful strawberries!! 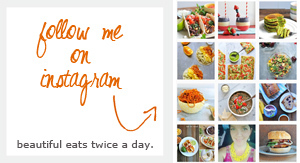 I did discover this year, that the organic ones are not only healthier for you, they are soooooooooo much sweeter!! Definitely worth the extra dollar in my book. 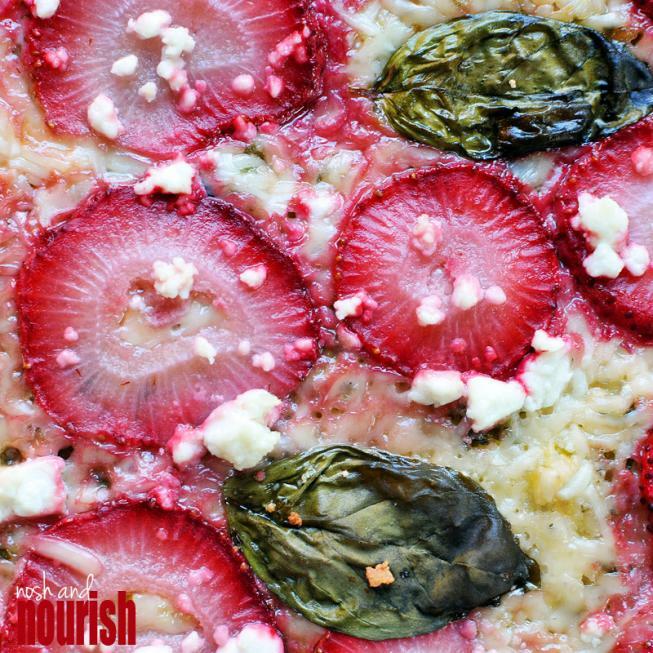 This Strawberry Pesto Pizza is the perfect combination of flavors, both sweet and savory. And it's so beautiful!!! I love how pink the strawberries look after they bake. 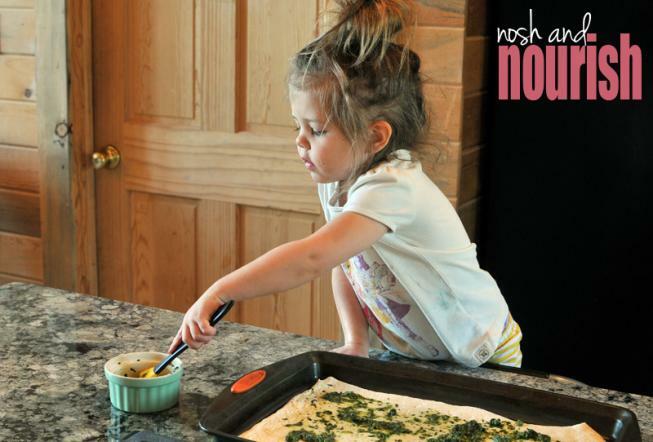 I had a wonderful helper to "paint" the basil onto the dough. She loves being involved in the process! 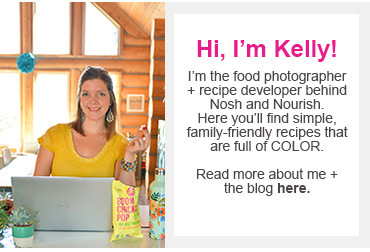 *This is my favorite dough recipe. Roll your dough flat onto a greased cookie sheet. Fold up 1/2 inch over each edge, to create a sort of "crust." Combine the olive oil and tube basil in a small bowl. "Paint" on the pesto with a basting brush so that the dough is covered evenly. Cover the basil and dough with the parmesan/romano cheese. 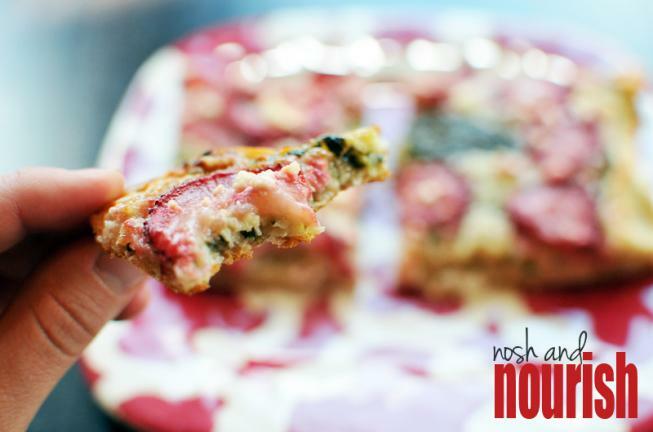 Thinly slice your strawberries, and layer them systematically over the dough/cheese. Lay a few basil leaves & goat cheese crumbles over the top (optional). Bake for 28 minutes, or until the edges are slightly browned.